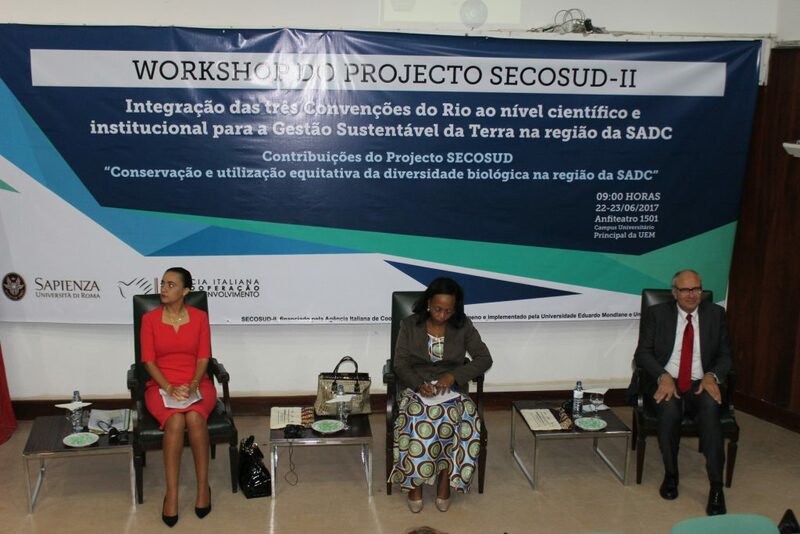 On June 22 and 23, SECOSUD II Project organized an international conference, held at the Auditorium 1501 in the Main Campus of the Eduardo Mondlane University (UEM) in Maputo, and focused on the integration of the three UN Conventions on environment (CBD, UNCCD, UNFCCC) in the SADC countries. 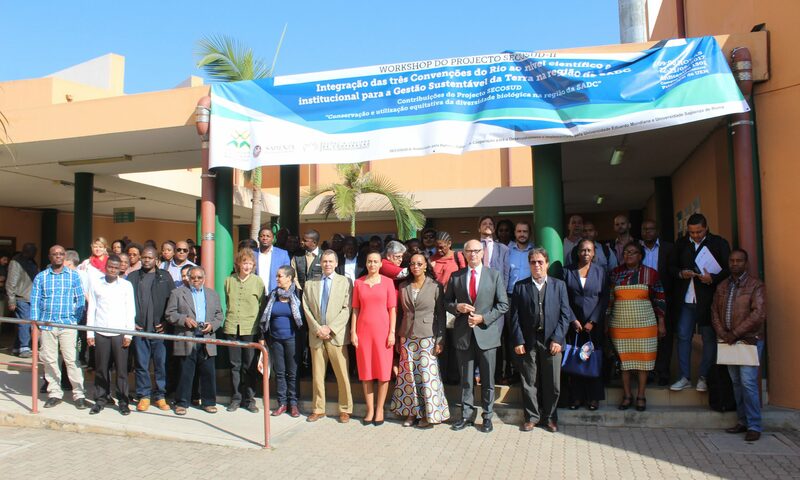 The event, attended by around 150 participants and with great media attention, focused on the dual objective of presenting academic and institutional experience from Mozambique, South Africa, Swaziland, Zimbabwe and Italy towards the definition of instruments and approaches that can contribute transversally to achieve the common goals of the so-called three Rio Conventions (biodiversity, fight against desertification and climate change), and at the same time bringing together the main partners of the initiative to synchronize the actions and maximize the synergies for future programming. During the first day of work, after an introductory session opened by UEM Deputy Rector Amalia Uamusse, and enriched by Fabio Melloni, director of Italian Agency for Development Cooperation in Mozambique and Sheila Santana Alfonso, Permanent Secretary of the Mozambican Ministry of Land, Environment and Rural Development (MITADER), 13 different research initiatives aimed at boosting environmental conservation policies were presented in two panels designed to summarize national approaches as well as local experiences. Sheila Santana Alfonso (Permanent Secretary of the MITADER – left); Amalia Uamusse (Deputy Rector of the UEM – center), and Fabio Melloni (Director of the Italian Agency for Development Cooperation in Mozambique – right), opened the conference. The SECOSUD II project has presented concrete products in an advanced stage of development, in particular Mozambique’s primary biodiversity data sharing network (BioNoMo) and its web platform, national land use, land use change and forestry monitoring realized through the Collect Earth software, and the integrated management system for fires, water resources and vegetation for the protected areas that make up the Great Limpopo Transfrontier Conservation Area (GLTFCA). Other international partners such as the DEA (Department of Environmental Affairs of the South African Ministry of Environment) have presented their Natural Resource Management Program (NRMP), considered by stakeholders as the best example at continental level of sustainable territorial management through the involvement of local communities. 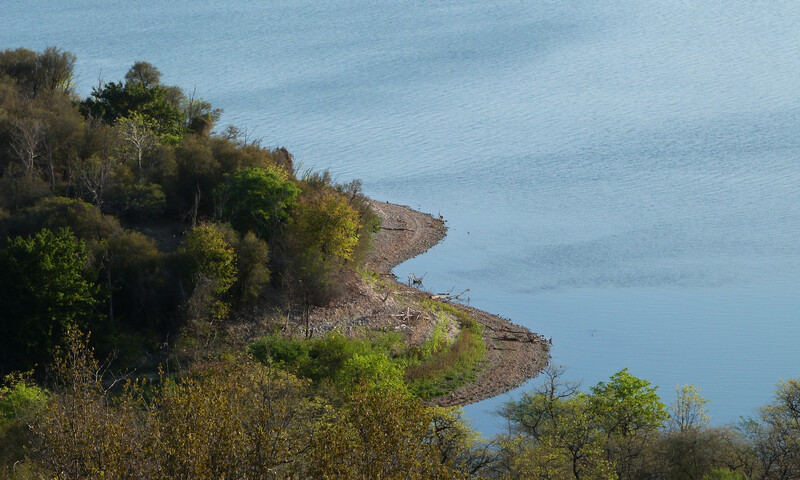 Regional academic excellences such as UNISWA (University of Swaziland) and the University of Zimbabwe have in turn presented experiences of great scientific and institutional interest, for the sustainable management of protected areas and the fight for the effects of climate change. On the second day of the seminar, organized in the form of a round table among the strategic partners of SECOSUD II Project, operational aspects, programming and sustainability of the proposed actions were discussed. The day was developed in the spirit of debating and agreeing on common strategies to maximize the results that such a rich network of partners can expect to reach at regional and international level. The outcome of the round table has allowed to define institutional commitments aimed at fully supporting the initiatives promoted by the project, as well as the possibility of extending many ongoing actions to countries in the region who are really interested in adopting the proposed instruments. The forthcoming international appointments that SECOSUD II Project will promote will mainly address thematic aspects concerning the integrated management of natural resources in SADC conservation areas and the application of the Nagoya Protocol regarding fair access and sharing of benefits resulting from use of biodiversity resources (ABS). Previous PostPrevious The first weather stations in Limpopo National Park!